Fancy feeling the heat this summer? Until 11th September 2016, Bristol’s RWA Galleries will be awash with Jamaican art, culture and politics thanks to a special exhibition. 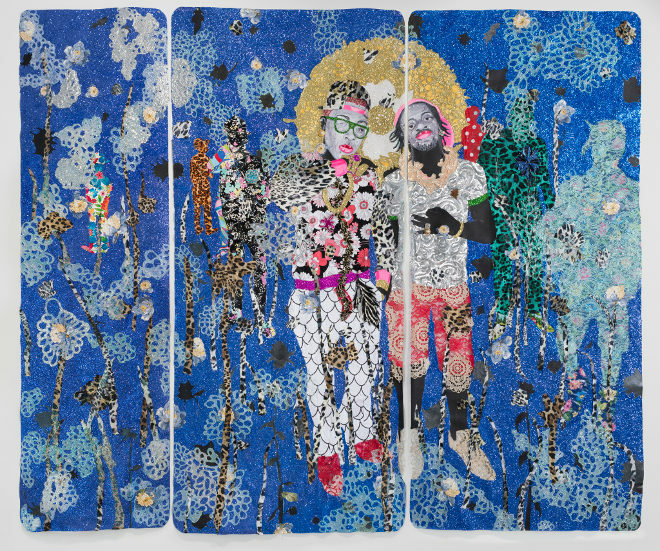 Jamaican Pulse: Art and Politics from Jamaica and the Diaspora will showcase the diversity present in Jamaican art today and yesterday, with contemporary works exhibited alongside more historic pieces. Artists featured include Ebony G Patterson, Andrea Chung, Kimani Beckford and Di-Andre Caprice Davis. Expect vivid colours amid works simmering with energy and emotion. Find out more about the exhibition and connected happenings at www.rwa.org.uk/whats-on/exhibitions/2016/06/jamaican-pulse. I recently meandered down a little used track, and discovered this scene. 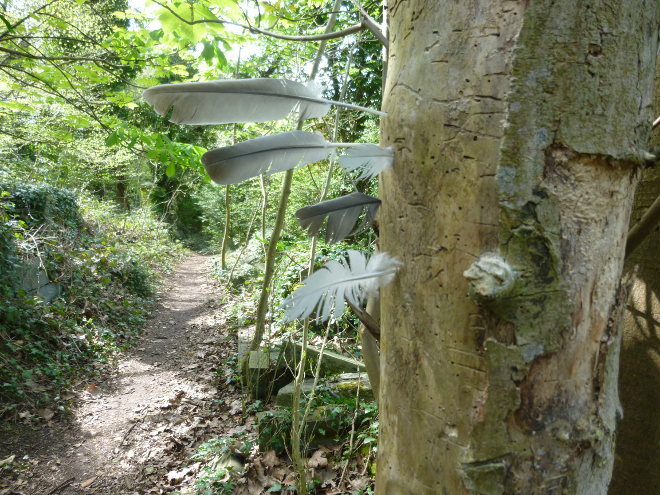 It made me recall how when seen through a child’s imaginative eyes, every old tree, fallen feather, discarded leaf and found stone has potential to become part of a savage land populated by pirates, vampires, dragons and more. Make this the basis of your story, remembering to recast the ordinary as fearsome and the commonplace as potentially magical. Anything is possible. That’s the quote that leapt out at me as I flicked through this week’s issue of Stylist magazine, as spoken by Anna Dello Russo.